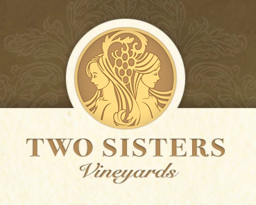 Located in Niagara-on-the-Lake, in the heart of the Niagara Peninsula, Two Sisters Vineyards offers visitors a love affair with great wine and great food, inspired by a simpler time. At Niagara's newest premium winery, both our culinary and winemaking processes are rooted in a 'less is more' philosophy. Retail: - 10 - 6 Daily + extended summer hours. Restaurant: 12 - 8 Daily with shortened off-season hours.